Did the officer get it right? Or Wrong? See the extensive details in our sample demo reports above, take our easy step by step photo tutorial showcasing how our client to investigator interactive and secure case management system works. As a retired law enforcement officer, I know first hand the challenges police officers face when responding to a motor vehicle accident. The officer is expected to race to the scene, provide immediate traffic control, render first aid, assess injuries, coordinate with fire rescue and other emergency services units, collect the required documentation from all the participants for the crash report, and of course, assign fault if possible all while under limited time constraints. I can tell you first hand, this can be a daunting and overwhelming experience. I don’t know how many times throughout my patrol duties I was asked to clear from an accident scene that I was investigating to handle an in progress violent crime in progress call. The point is, police officers are professionals that do the best they can under the circumstances they find themselves operating in. Because of the many tasks expected of the police officer, the potential for errors or omissions in the crash report exist. In our current system, the police officers crash report is recognized by insurance company adjusters as being the final word, unless of course you can provide solid contradicting evidence to prove otherwise. How is this achieved, by hiring a certified Saffron Investigations accident investigator to review the police officers crash report for any apparent errors or omissions. 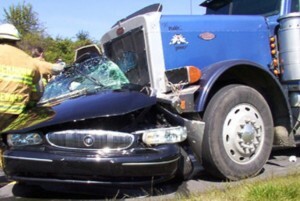 What Is A Certified Accident Investigators Job? A certified accident investigators job is to collect, analyst, preserve and present the evidence of your case in an investigators report of findings. Make no mistake, you get one chance, once the evidence is tainted or lost, it is generally lost forever. Selecting the right certified accident investigator with the experience, training and credentials required to put your case together will be the difference between success and failure or a large settlement and a nuisance settlement. Don’t be fooled, erase those well known personal injury “Jingles” from your head, the most important decision you will make after an accident will be the investigator you hire, not the attorney that will coordinate with the insurance adjusters. The majority of those “Jingle” referral attorneys don’t even use licensed investigators, they cut costs by using unlicensed, untrained in house investigators. i don’t know about you, but I don’t feel comfortable providing all my personal information to just anyone, I would prefer entrusting my personal information with someone with a proven track record, someone licensed and regulated by the state. At Saffron Investigations Hollywood FL, all our investigators are not only licensed and regulated by the state, but they receive specialized accident investigations certification training. What Is A Passenger Vehicle EDR Or Black Box? 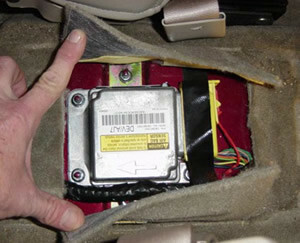 Most late model passenger vehicles on our roads today are equipped with an event data recorder (EDR), also referred to as the vehicles “ Black Box ”. Most EDR’s possess at least 5 seconds of important pre-crash data describing the vehicles speed, throttle usage, brake usage, seat belt usage and delta v (injury projections). This data is crucial when used as supportive investigative material to either exonerate or prosecute a driver. At Saffron Investigations, are investigators are experienced certified EDR technicians trained in extracting, analyzing and presenting the findings in an organized investigative report. Don’t take any chances, get the results you need to. Commercial vehicles or heavy trucks may have two types of downloadable data useful for your case. the two types of data are categorized as critical event data and trip event data. Critical event data is generally associated with “hard braking” incidents which include engine speed, throttle percentage, vehicle speed, cruise control, and fault codes. This information may be available for up to 2 minutes prior to the event, and up to 15 seconds after the event. Trip event data is cumulative data collected over a period of time since the last system reset. Trip event data may include the number of times the vehicle engaged in hard braking,high speed, cruise control usage, % of drive time, % drive time over speed and engine settings like maximum governed vehicle speed. Aside from factory installed EDR accessible data, aftermarket GPS navigation units in cars and commercial vehicles may afford you valuable coordinate and speed information. This information is obtained by accessing the vehicles memory card and interpreting the data. Our Saffron Investigators Broward County FL, techs and engineers are trained in locating, accessing and preserving this most important evidence for your case. 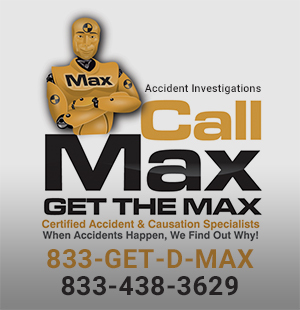 Hire A Saffron Certified Accident Investigator Now! How do we achieve our goal, we simply hire the best Saffron private investigators or detectives and provide them with the latest state of the art investigative tools and software? Close supervision and guidance is provided to the primary investigator on each case. At Saffron, we don’t try to reinvent the wheel, we constantly look for and implement new ways to make the wheel roll more efficiently. Our firm is dedicated to ensuring that your investigative needs are resolved in an efficient, timely, and affordable manner. Our business is your business, your business is no one else’s, we take confidentiality very serious at Saffron investigations. We look forward to helping you resolve your in investigative needs in a timely, professional, and affordable manner. Our main office is located on Hollywood Boulevard in Hollywood Florida. Want to know more about Saffron Investigations, LLC? Saffron Investigations coordinated the successful recovery of my missing 13 year old daughter. 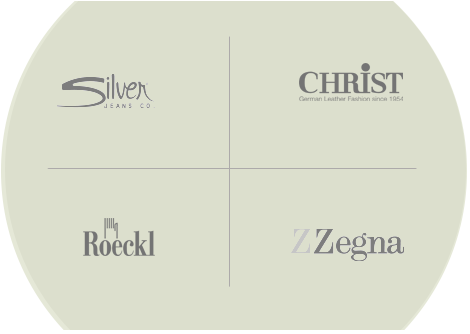 They were not only professional, they were compassionate and understanding. I highly recommend this private investigations company. Michael and his team of investigators solved a false Florida Department of Children and Families elderly abuse claim made against a family member of mine. I highly recommend Saffron Investigations, they really know what they are doing.